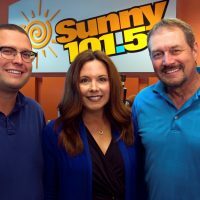 Every weekday morning from 5 until 9, Jack Reichert, Steve Buda and Traci Cappelman take over the airwaves on Sunny 101.5. Born and raised in the South Bend area, Jack has been on the air in this market over 30 years. He is a 28 year veteran on the Sunny morning show. With his unique brand of humor, Jack has developed an extremely loyal following, there’s no accounting for taste. Jack enjoys watching TV show in black and white. 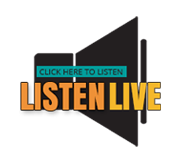 Traci Capellman joined the morning show in July, 2016 teaming up with Jack Reichert and Steve Buda. “What an incredible way to start the morning”, says Traci. “Laughing and having a blast with Jack and Steve…and jump-starting Michiana’s day in a great way! Traci has over 2 decades in broadcast in Northern Indiana/Southwest Michigan, coming to us from nearly twenty years as the local Fox TV 28 Evening News Anchor.